We could not decide on just one book for the month of March, so we are having a double feature. Both of the books are the second to be released in their respective trilogies. 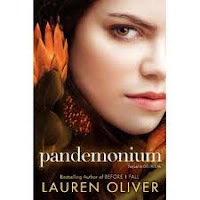 Delirium and Wither were both read alongs on the blog in 2011. You can click on the links to see our comments about the books and to find out what "Teams" we were on.